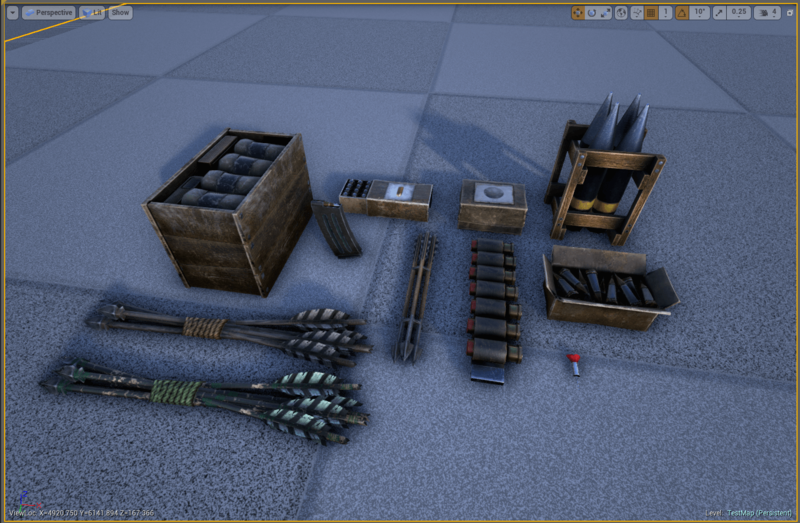 From left to right (and bottom to top): tranq arrows (green), stone arrow, C4 ammo, rifle ammo, pistol ammo, metal arrows, shotgun shells, simple bullets, tranq dart, sniper bullets and rocket ammo. Currently the drops for structures are just depending on their materials. Maybe we will get specific drops for each structure, but for now this is already pretty awesome. 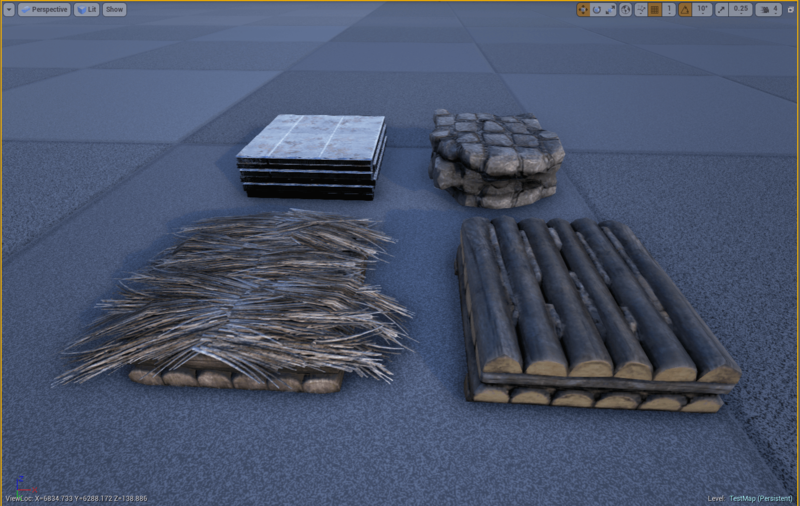 Again, from left to right (and bottom to top): thatch structures, metal structures, wood structures and stone structures. 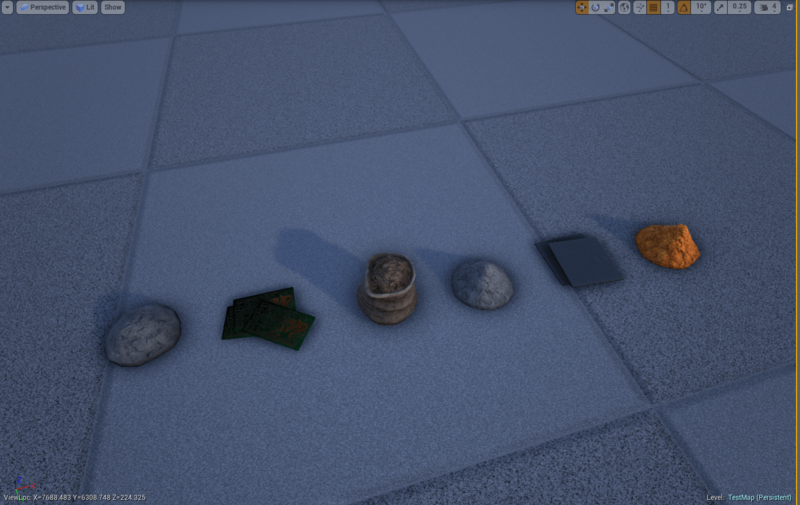 From left to right: cementing paste, electronics, charcoal, gunpowder, polymer and sparkpowder. 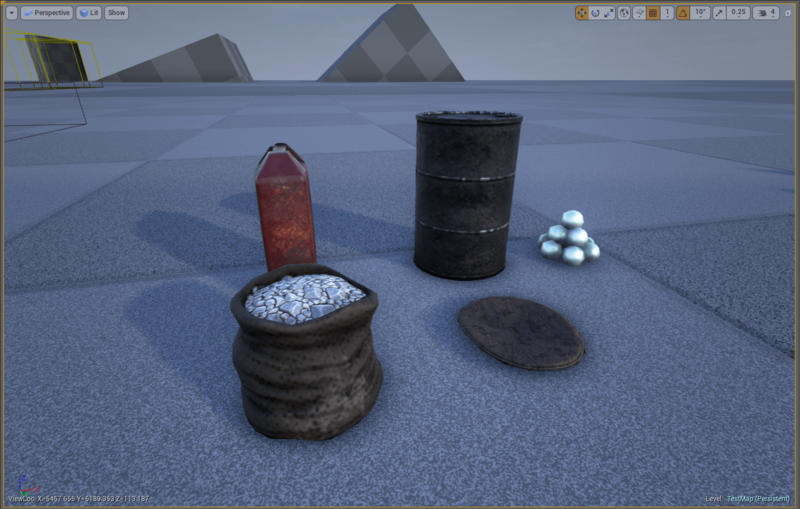 This picture includes gasoline, oil, silica pearls, crystal and chitin. 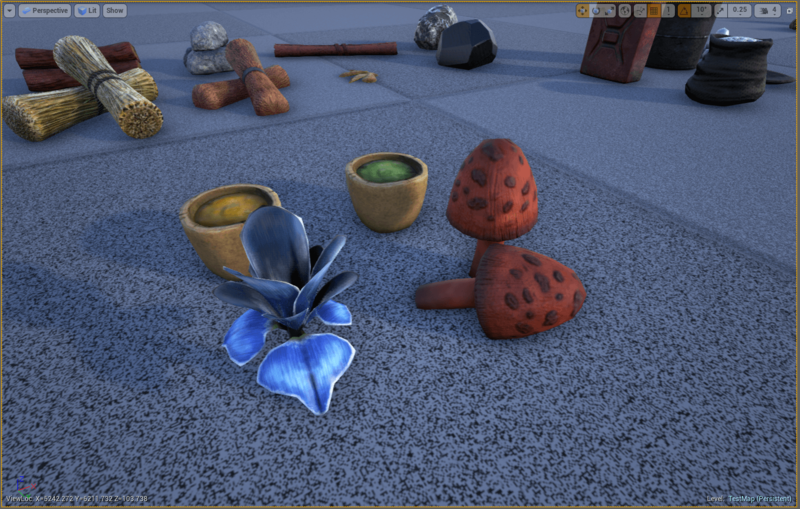 This picture includes stimulants, narcotics, rare flowers and rare mushrooms. 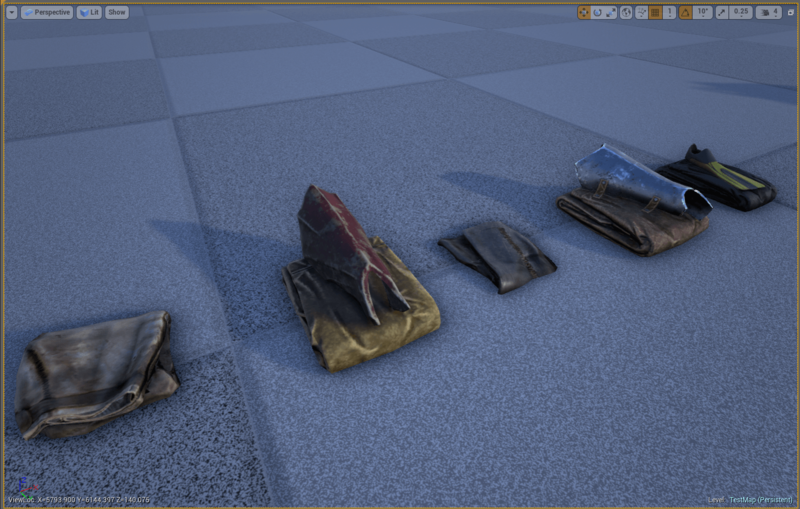 From left to right (back row): cosmetic bag (something upcoming?? ), dye and parachute. 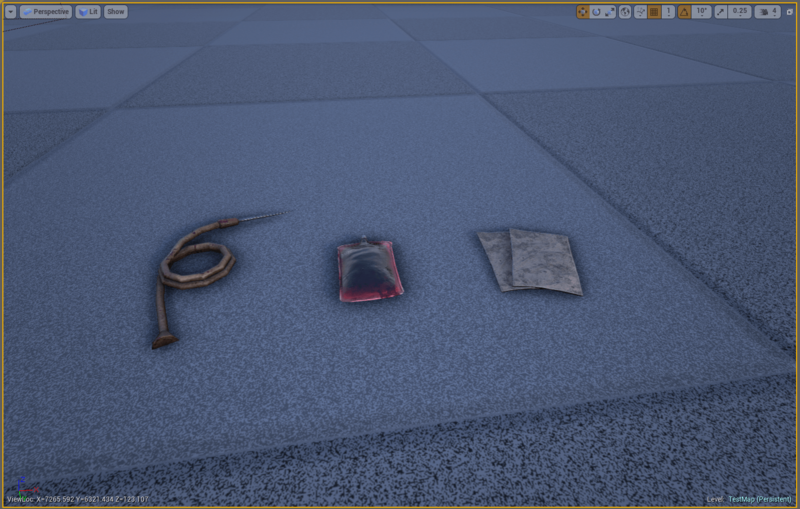 From left to right: blood extraction syringe, blood pack and notes. 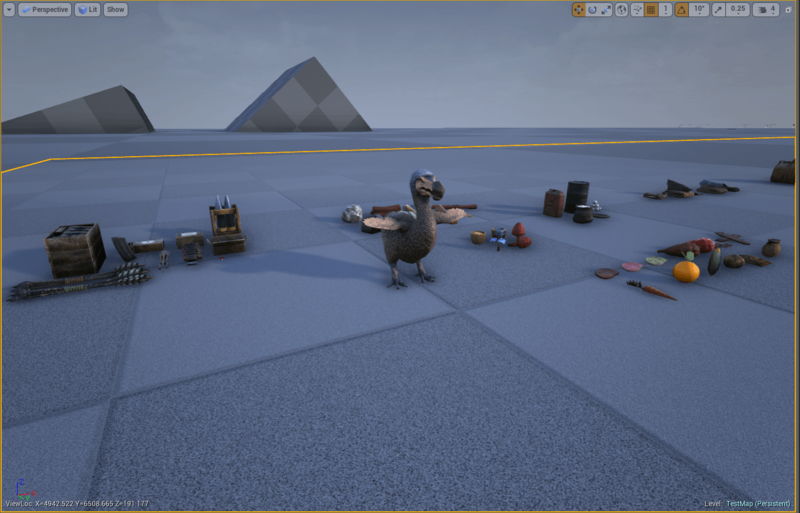 And to give you all a better understanding of how big the drops will be approximately, here is a picture of a dodo next to some dropped items. The biggest drops at this point are the arrows (in length) and the oil barrel (in height). We hope that you enjoy these previews. 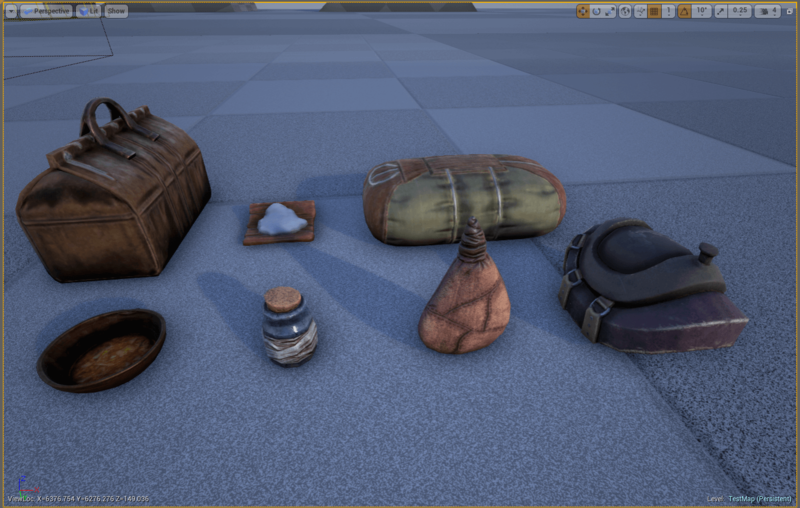 When we come across other items, dinos or anything useful in the development kit, we will be sure to post it! So stay tuned. The ??? one is c4 i think. Thanks for noticing the right ammo type 🙂 the post has been updated now. 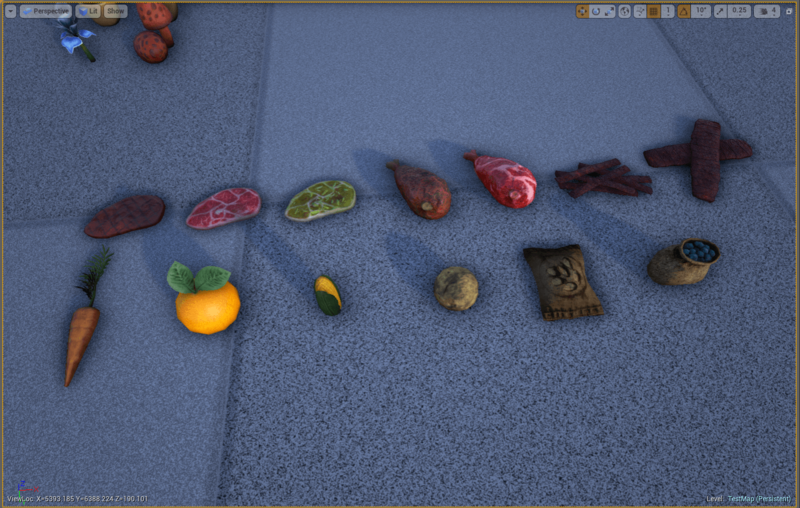 Are you going to have to click all over the place to pick stuff up? We can only tell when they release it in-game. 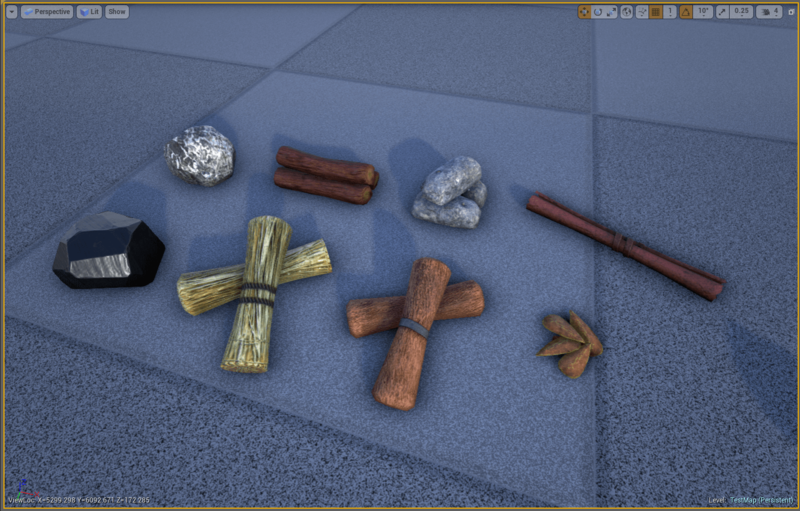 Maybe they will have some sort of system that makes it easier to find stuff on the ground, but who knows. This is going to make the game realistick! This will really improve the game and give it a facelift. Nice.